It’s been one year since European sanctions were first enacted against Russia on 17 March, 2014, and it’s worthy to briefly highlight their consequences on Moscow. Likewise, the counter-sanctions that Russia imposed on the EU last summer must also be critically looked at in order to assess the economic and political impact of the ‘sanctions war’ on both parties. The results are certainly not at all what the West had anticipated. Although there have been mild price increases, no significant consumer shortages of any kind have occurred. In fact, most contemporary economic issues (or speculation thereof) in the country are related more to the oil price slump than to the sanctions. The greatest unintended economic effect of the sanction war on Russia has been that the country has begun to diversify its agricultural suppliers, seeing the counter-sanctions as an impetus to look for more non-Western economic partners such as Egypt. This correlates to its larger multipolar-oriented policy that it’s been practicing with vigor ever since the New Cold War started. Russian patriotism has been solidified and the people have united in support of their country and government. The sanctions redirected Russia’s political and economic trajectory towards non-Western countries, which fulfills its stated multipolar objective. While not abandoning the West, Russia now recognizes the vulnerability of depending mostly on a singular bloc of economic partners, since this makes it susceptible to forms of economic blackmail like sanctions. In retrospect, the sanctions war can be seen as the watershed event that placed Russian firmly on the path of multipolarity, with the full support of its citizenry. The weaker economies of the Union have been direly affected, such as Poland and Greece, since Russia’s counter-sanctions targeted their vulnerable agricultural sectors. Excess product in these countries, plus a lack of new customers, means that they either have to sell them for unprofitable margins and receive miniscule capital in return, or simply get rid of the perishable products and lose all their investment. The damage that this has dealt to the agricultural field in these respective countries might lead to the creation of a lobby group (of uncertain impact) that could influence upcoming elections, either by acting on their own or by teaming up with current opposition parties in each of those states. 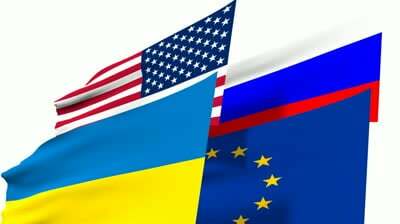 The EU has been divided into countries that support the sanctions and those who are against them. Most notably,Italy, Hungary, Greece, and Cyprus are against them, as well as the Czech Republic, Slovakia,Spain, and Austria to an extent, which creates a type of ‘bloc within a bloc’ comprising South, Central, and Southeastern Europe. Serbia and Macedonia, which are not EU members but ‘officially’ aspire to join one day, refused to sanction Russia, thus creating problems between their governments and Brussels. There is now a division between pro-Atlantic Europe (those who are siding with the US’ interests), such as Poland, the Baltic States, and Romania, and pro-Continental Europe (those who pursue Europe’s genuine interests and are against the sanctions). France and Germany are currently in the pro-Atlantic camp, but if one of them ‘switches sides’, then it would create a major shift and division within the entire EU, which would of course have a resultant aftereffect on EU-US relations. As a simple summary, the sanctions war united Russia but divided Europe, giving the former a unique and pressing opportunity to diversify its partnerships, while depriving the latter of what was inarguably its most important one. 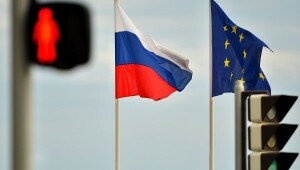 The EU didn’t anticipate the extent to which the US would exploit it amidst the New Cold War, but as has been widely analyzed, the whole point of renewed US-Russian tensions has been for Washington to divide the EU from Russia and preempt the type of collusion between the two that would torpedo America’s Eurasian hegemony (as per Brzezinski’s forecast in “The Grand Chessboard”). While the US has been partially successful in dividing Europe from Russia, it’s totally failed in keeping Moscow and Beijing apart, and the two are now making rounds across the world in strengthening multipolarity and pushing back against the US’ designs. It is this inter-civilizational partnership, more so than confluence of European-Russian interests, that has proved its potential to upend unipolarity and usher in a new era of global affairs.